During 2008 – 2018 (LTM), 4,223 M&A events were realized in the Netherlands. After a decrease in M&A events as a result of the financial crisis in 2008, the number of deals increased during most periods, with a record of 554 events in 2017, a 72% increase compared to 2008. For HY18, a record amount of transactions (272) has been reached. The upward trend is expected to continue, partcularly following from historical low levels of interest rates. In addition, consolidation is a major trend in many industries. This graph shows all M&A events involving a Dutch target company. Comparable with the total number of M&A events in the Netherlands, the number of deals has been steadily growing since after the financial crisis. 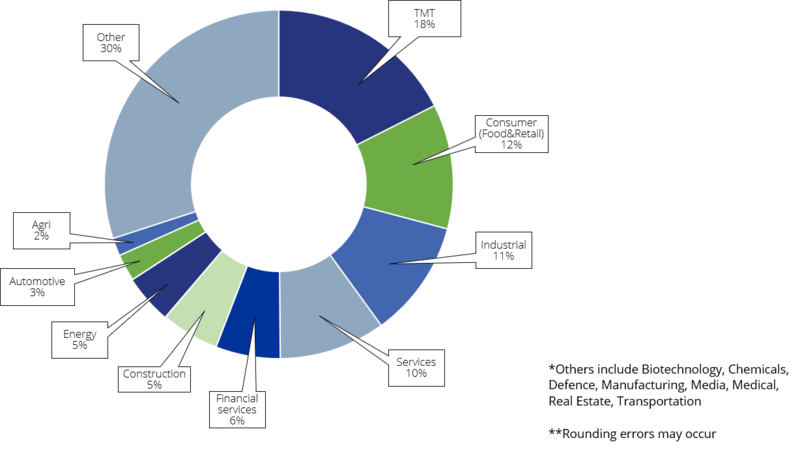 In HY2018, 92% of total deals in the Netherlands involved Dutch companies as the target, similar to the amount in FY2017. Buyers of Dutch companies were primarily strategic buyers who are responsible for 72% of the total number of deals up until now. The remaining 28% of the buyers are financial buyers. 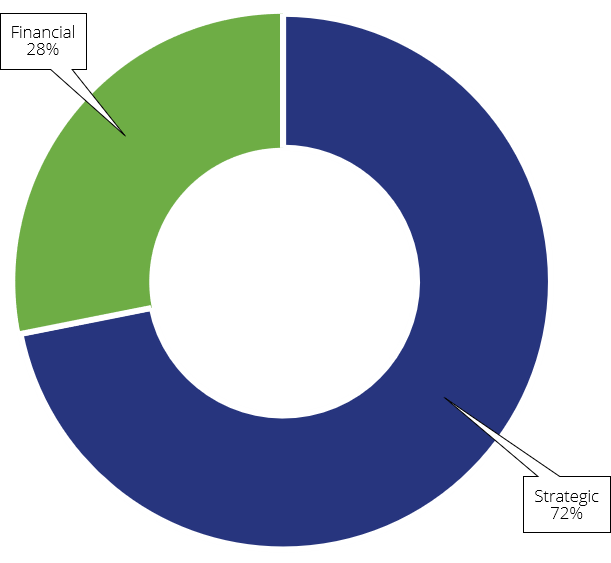 In 2017 73% of buyers were strategic and 27% financial. This graph outlines the number of M&A deals per year with a Dutch target and a foreign buying company. In FY2017, 241 (43.5% compared to total) M&A deals were realized with a Dutch Target company and foreign buyer. In 2008, this was only 32.6%, indicating an increasing interest in Dutch companies from foreign companies. This graph includes the number of M&A events with a foreign target company and a Dutch buying company.